At 8 Points Home Inspection we will work with you on your new home purchase in Danvers, MA to identify defects and help you understand the issues with your new home before you move in. Within 48 hours of the completion of your home buyer inspection you will receive an extremely detailed and thorough report describing the findings from your inspection and including representative photos of many of the areas of concern. 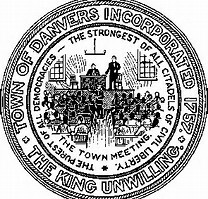 Danvers was settled in 1636 and was known at that time as Salem Village. The town seal reflects the legend that the Crown refused to acknowledge their request for a charter. In 1757 the townspeople incorporated themselves anyway and included the words “The King Unwilling” on the seal. 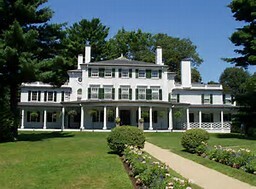 Some of the oldest homes in Massachusetts are located in Danvers. 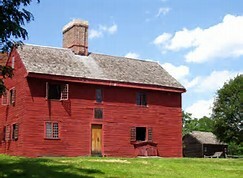 The General Israel Putnam House (1648), the Judge Samuel Holton House (1670) and the Rebecca Nurse Homestead (1700) are among those still surviving. 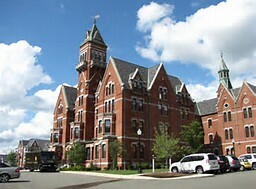 Danvers is a town most widely known for its connection to the Salem Witch Trials in the late seventeenth century. In just a little over a year between 1692 and 1693 twenty people were accused, tried and put to death for their alleged connections to witchcraft. The majority of those convicted were hanged, but one person, Giles Corey, was actually crushed or ‘pressed to death’. People were tried and executed for witchcraft in other New England towns, but those in Salem Village, or Danvers as we now know it, were the most infamous. To schedule an appointment for your Danvers, MA home inspection call 8 Points today at (844) 487-6468.